Instagram carousel is where the action happens. This nifty Instagram feature allows you to tell your story as you please. You can edit the sequential order of the pictures, apply different filters etc. This elevated level of freedom allows you to boost brand engagement. Before it was open to members of the public, the Instagram carousel feature was a preserve of advertisers. 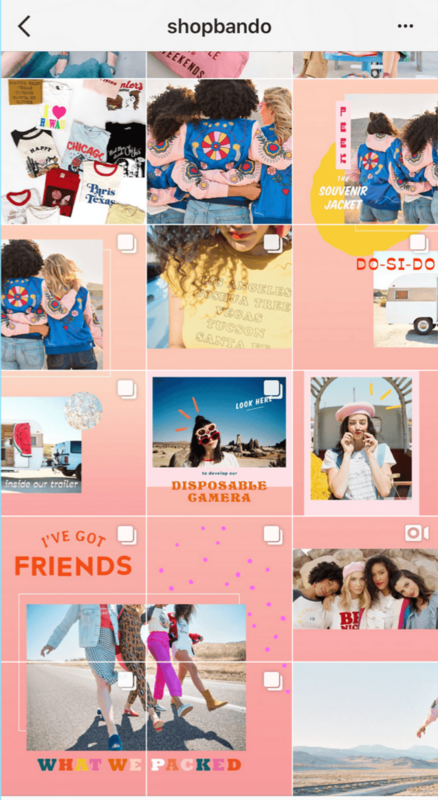 Since 500+ million Instagram accounts can now access the carousel feature daily, it’s imperative to find ways for you to stand out from all the rest. 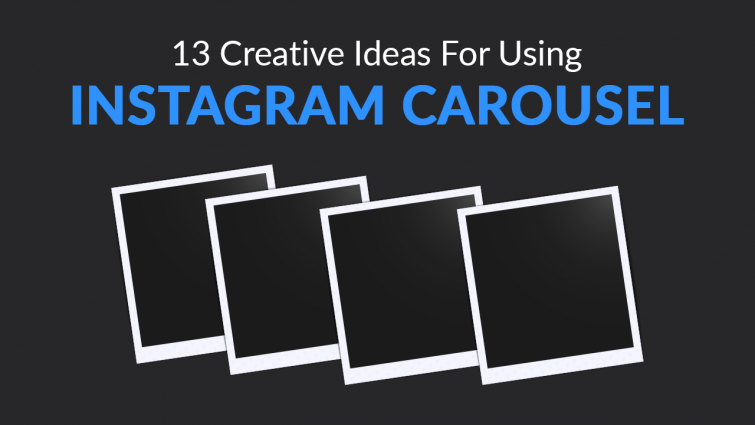 To make things easy for you, we’ve compiled a handy guide of the most creative ideas for using Instagram carousel. Thanks to the carousel option, you upload images that conform to a particular idea/theme of the day. One company that does this well is Letterfolk. Since they’re actively involved in providing home décor solutions using inspirational quotes, the transition was seamless. Today, their feed is littered with image carousels that inspire. On International Women’s Day, different images that were aptly captioned to drive their point across. Timing had a lot to do with it. Letterfolk found an intelligent way to engage audiences by appealing to the trending topic that day. They took advantage of the buzz to convey their message without missing a step. Even though various images were used in the sequence, they ensured that the formatting was uniform. The colors were bright and seemed to resonate with the objective of celebrating women on their big day. As a brand, you always want to give your clients a feel of your true essence. One company has been successful at doing this is Sunergos Coffee, one of the best coffee roasters and brewers in Louisville. They have made good use of the Instagram carousel feature to give their fans a behind-the-scenes peek at what happens. By capturing a glimpse of their coffee roasters in action at the factory, they were able to spark interest in their business. Using a chronological sequence of images is a fantastic way to tell a story. Fully aware of this, Sunergos were able to reinforce their message by educating their fans on the coffee roasting process. 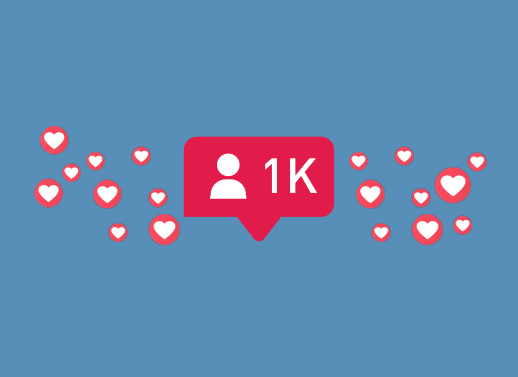 This was a fantastic move on their end since it led to more engagements from followers eager to learn more. Images are powerful. No one knows this better than National Geographic. Their Instagram feed is awash with a range of fantastic shots that capture the essence of every moment. Given the numerous photographers in their employ, they can pick and choose what to post. Not too long ago, they shared a glimpse into a crab fisherman’s life. The picture encapsulated everything we love about photos, action, energy, and mystique. Stop-motion photography does not conform to conventional storytelling. In a sense, this is what makes it all the more alluring. While the images shared capture less than 5 seconds of what transpired, the pics shared are powerful enough to resonate with audiences. It’s little wonder that the post was able to garner more than 269,000 likes. It pays to think outside the box. As a company that has been selling luxury mattresses for a while now, Casper fully understands the power that lies in disrupting the status quo. Through the years, they’ve developed their own unique voice in advertising. In this post, they composed a continuous sequence of “ZZZs” and a nifty caption to seal the deal. This post showcases the creative outlook of the brand. While it’s true that there are numerous best practices in the social media world, not everything is written down in black and white. This means that there some wiggle room for you to play around. If you’re willing to experiment with non-traditional posts, Instagram Carousel is the best platform to check out. Planning to build the excitement to an upcoming event you’re hosting? Well, an image carousel is the best way to go. Institutions like Harvard almost always hosting events that require input from alumni, parents, and students. Since planning for such occasions may lead to cluttered messages, they try smooth things out by using Instagram’s carousel feature. That way, they’re able to capture numerous photos in a single post. A carousel almost acts like Facebook’s album feature for users to group similar images altogether. Users interested in particular content can easily scroll through without having to switch tabs or clicking through different links. As such, this simple interface promotes engagement with followers. As an entrepreneur, you’re probably aware that launches can have a considerable impact on product performance. While numerous options exist for your product unveil, not many can match up to the power of Instagram’ carousel. Ban.do’s recent product reveal was able to generate plenty of buzz. They showcased various photos to create a cohesive compilation for fans to check out straight from their feed. The carousel feature on Instagram ban.do to share multiple images with their followers without spamming them. Since each individual post had value on its own, fans could easily understand the context that it was shared with and add to the discussion. While at it, they made sure to include video into their Instagram carousel post strategy. This was quite helpful since it kept the intrigue levels a notch higher whilst informing fans about their latest product line. 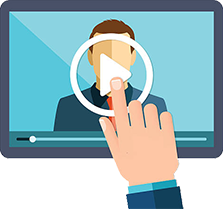 By mixing image and video posts, you can considerably increase the viewing time on your posts. Given how Instagram’s algorithm works, this is crucial if you’re looking to register impressive numbers on your post. Imagine that, a full-length video straight on Instagram. Awesome right? Well, thanks to the carousel features, all this is very much possible. Brands like Glossier have been quick to lead from the front in sharing full-length videos on the platform. It’s a well-known fact that Instagram videos tend to fair better than photos. However, a 60-second restriction exists which makes it tricky to share longer in-depth content. To bypass this rule, Glossier decided to split up their video into minute-based fractions. To access the next section of the video, all users had to do was swipe and keep watching. Carousels are mightily handy. By making good use of the carousel option, Glossier were able to set themselves up for success. The longer engagement period certainly helped. This is probably the most obvious idea in our compilation, but, it’s also the most dynamic. This means that you can use before & after shots for so many different campaigns without it losing the edge. For one, you can opt to share before & after shots of real-life application of the products in your shop. One brand that does this well is JasonMarkk at their Premium Shoe Cleaner establishment. To create one, all you need to do is arrange your photos in the right order and add a compelling caption. Once that is sorted, the post is ripe for sharing. Before & after shots are not a lone preserve of the beauty and fashion industry. You can flex your mental muscle and work out a couple of other applications in your industry. Impressively, you can also share multiple before & after sequences in a single post. If you’re looking to boost traffic to your website, Instagram is the perfect platform for you to do so. The bio section is particularly important and has been gaining popularity in recent times. Later’s Linkin.bio allows brands to lead audiences to specific content on the web. With such actionable options, it’s little wonder why so many brands have embraced this idea. By combining this power with the carousel feature on Instagram, publishers are able to witness improved engagement levels. If you’re looking to share a blog post that extensively explores different topics, carousel posts are ideal to tease your content. Your followers will certainly be intrigued enough to click the link in your bio for a chance to quench their curiosity. In contemporary times, time is the one centerpiece that keeps the seller-buyer relationship going. Without it, the current sales world wouldn’t be where it’s at. More than ever, businesses are focused on showcasing their transparency and accountability levels are of the highest order. Everlane has been particularly notable by leading the charge in “radical transparency.”. As per their mantra, they are always open to sharing where they source their materials. Remarkably, they also ensure that all most of their ad campaigns are led by their own personnel. This is one of the best business strategies out there. Not only does it solidify your status as a bona fide brand, but it also motivates your customers to take action. If you’re looking to have the same profound effect on your audiences, then, it’s probably time to embraces carousel posts. Customer reviews play a crucial role in business success. If you’re getting plenty of positive reviews from your clients, it’s only logical that you share them with your followers. Carousel posts on Instagram are ideal if you’re looking to showcase positive feedback from fans. 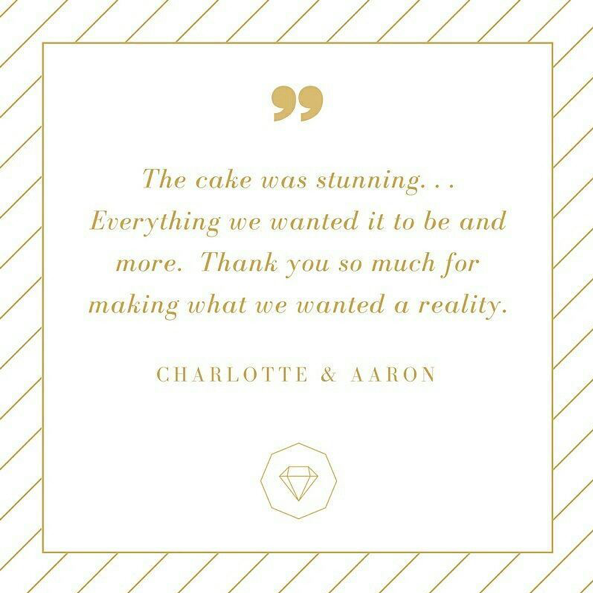 Reading through Sweestufflife’s feed, you’ll notice that they like sharing rave reviews of their wedding cakes. Given the frequency at which they do it, it’s safe to say that the message resonates well with their fans. Sharing positive reviews enhances your brand’s visibility on the web. It also helps generate interest in the different offerings you have at your company. With carousel posts, you can give the impression that you’re really successful. Since image plays a key role in business success, you’re bound to notice a considerable spike in your sales performance. Carousel posts also add a layer of depth to your feed. You have a certain degree of freedom to share content without coming across as spammy. If you’re brand that’s actively involved in educating the masses, feel free to drop some hot tips in your Instagram feed. Merriam-Webster is a brand that’s been quite successful at doing this. They like sharing their favorite word of the day on their page. By dividing the post into sections, they are able to get fans’ maximum attention over long spans. An effective marketing strategy. The first image focuses on providing the dictionary definition of the word. In the second picture, they provide practical applications of the word in action. The multi-image feature provides the ideal setting for you to educate the masses about your product and/or services. This is quite true when you consider that carousel posts are usually more interactive than traditional single-image posts. Buzzfeed has devised a clever way to enhance their social media engagement numbers. Every once in a while, they curate content on their Instagram feed to tell a funny narrative. Not too long ago, they created a brilliant concept to dissect sibling rivalry. To ensure maximum visibility, they asked their followers to “swipe left” in order to check out other awesome images in their collection. Humor is a powerful marketing tool. 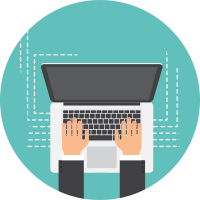 It can break down any initial objections prospects may have towards you or a brand product. The positive emotional disposition created towards your company makes it easy for you to connect with different audiences. It’s a brilliant ad concept since you’re able to hold people’s attention over extended periods even when they’d rather be focusing on other things. While at it, you can include a hashtag in your posts, there’s good research that shows this tends to boost engagement levels by as much as 12.6%. Instagram has a brilliant carousel feature. Having already pinpointed some creative ideas for you to flex, it’s now time for action. You can mix and match the aforementioned ideas as you please. The one thing you need to keep in mind is to post consistently and stay on brand at all times. This way, the fans are likely to keep flocking in thick and fast. Go ahead, share your story!